Audioboom / Suwalki Gap to Syrian Skies in the New Cold War. Stephen F. Cohen, NYU, Princeton University, EastWestAccord.com. Suwalki Gap to Syrian Skies in the New Cold War. Stephen F. Cohen, NYU, Princeton University, EastWestAccord.com. “…Last Tuesday, NATO defense ministers agreed to send 4,000 troops to Poland and the Baltic States, with many on either side of the Suwalki gap. On the same day, Russia began a week-long series of snap exercises. NATO countries are simultaneously participating in the largest military exercise in Poland since the end of the Cold War. The Pentagon has proposed quadrupling its spending on European security in the fiscal 2017 budget and calls the program the European Reassurance Initiative. On Sunday, Russian President Vladimir Putin appeared on Fareed Zakaria's show on CNN to play down the idea that his country and NATO were edging toward a "new cold war." He accused NATO, along with the Ukranian government, of "scaremongering" after the annexation of Crimea. "If we stick to this very logic, the scaremongering, that's probably the way to a cold war,” he told Zakaria, through a translator. “The United States, Britain, Germany, Canada and Poland will all contribute "battle groups" of about 800 soldiers that would be in place as early as 2017. 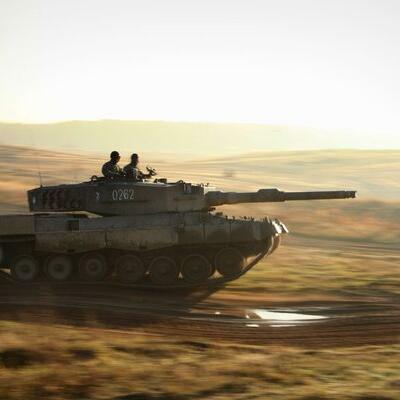 Britain's battle group, according to the Financial Times, will be based in Estonia. The Americans are likely to be based in Poland, the Germans in Lithuania and the Canadians in Latvia. The particulars will be ironed out at a NATO summit in Warsaw next month. Loretta Lynch & (omitted) (in Arabic). Lewandowski Tell-All. @JamesTaranto, @WSJOpinion. @McKayCoppins, @Buzzfeednews.